Here at Preston Skips, we can help you to get rid of waste from your home or business with little disruption. Our skip hire services are tailored to suit the requirements of all customers. Operating our own fleet, we reliably transport skips to various locations within the North West of England, ranging from Preston and Wigan to all areas in between. The cost of skip hire varies depending on various factors, including skip size, location and permits, which is why it’s important that you request quotes before ordering a skip. Whether you’re looking for domestic or commercial skip hire Bolton, you’re in capable hands with Preston Skips. Our skips are available in an assortment of sizes, ranging from 2-cubic yards to 40-cubic yards. We use up to date fleets which are fitted with tracking devices. In doing so, we offer the best service for individuals and businesses in Bolton, covering Farnworth and Westhoughton too. To accommodate customers in Chorley, Buckshaw Village and Charnock Richards, Preston Skips offer skip hire Chorley. Like the services we provide for customers in Bolton, we also provide an extensive range of domestic skips – taking into consideration the requirements of all customers. Choosing skip hire Chorley will allow you to dispose of waste in a way that’s quick and easy. Skips are ideal for renovation projects and property clearances, allowing you to get rid of rubbish as soon as it’s generated. If you’re on the outskirts of Chorley, Preston Skips can help you to reliably dispose of waste. We provide skip hire Leyland to ensure that you have the opportunity to maintain a clean, professional environment. The services that we provide for skip hire Leyland are suitable for domestic renovations and industrial developments, and we can help you every step of the way. Are you looking to remove waste from your property in Preston? From Penwortham to Fulwood, we specialise in skip hire Preston – covering the demands of domestic and commercial clients alike. We make sure that you receive a service that is best suited to your unique disposal needs and ensure that materials are disposed of correctly. Our team of experts arrange to deliver and collect skips at a time that suits your needs perfectly – making skip hire Preston a convenient method for disposal. At Preston Skips, we aim to accommodate the requirements of all industries in the Wigan area, including Skelmersdale and Westhoughton. We have gained a wealth of experience providing commercial skip hire and have developed excellent knowledge of the local area. 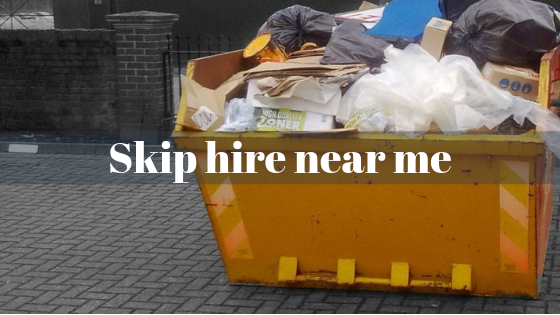 With skip hire Wigan, we guarantee a fast, convenient service. All our skips are delivered and collected seamlessly. If you need to know more about skip hire Wigan or if you could benefit from any of the other services that we provide at Preston Skips, call us on 01772 827 603 today.